If you haven’t heard the news, over the weekend Matt Hardy was arrested on suspicion of driving under the influence after driving his Corvette into a tree. A few hours after news of the arrest broke, TNA released a statement saying Matt had been fired from the company. In my eyes this is a curious move by TNA and opens up a flood of questions I have about their business decisions. Matt debuted for TNA in January 2011 after the 90 day no compete clause in his WWE contract had expired. During the last six months or so of his WWE tenure, Matt’s behavior off screen was questionable. I don’t know this to be accurate, but based on reports I’m going to speculate a possible scenario. Matt’s brother Jeff had left WWE in September of 2009. In January 2010, Jeff began working for TNA and was quickly pushed into a World Title reign. Matt on the other hand was stuck in mid-card purgatory in WWE. I feel Matt saw the success Jeff was having and felt he could have similar success in TNA. Matt then asked for his release from WWE and was denied. After that, Matt decided to do whatever he needed to in order to get WWE to release him. Matt started posting youtube videos and making comments on his Twitter account that led to many fans questioning his sanity. Eventually after being sent home from a European tour, Matt was released in October of 2010. Anyone who had followed TNA for at least a year knew it was only a matter of months until Matt would show up in the company. TNA has a habit of picking up discarded WWE talent and making them the focal point within the company. With Jeff Hardy on the roster it made sense to hire Matt and reform the Hardy Boyz tag team. Personally I was hoping TNA would stay away from Matt as hiring him condoned his behavior during the last few months of his WWE stint. When someone blatantly tries to get himself fired, welcoming them into another job gives the appearance their behavior is not an issue that concerns the company. Matt wrestled for TNA for a little over six months before being sent home at the end of June as a disciplinary action due to showing up to events late. After being sent home, Matt took to Twitter claiming he hadn’t been suspended and asking fans who attended TNA shows he wasn’t on if they asked for a refund. Then came the arrest on suspicion of DWI and TNA outright released Matt. Considering Matt’s name brand awareness and the fact other TNA wrestlers have been arrested for the same offence but weren’t released, I feel there is more to the situation. Though I don’t know what, something just seems odd with how quickly TNA acted to remove Matt from their roster. When you factor in the Jeff Hardy story, the Matt Hardy situation is even more bizarre. Following a main event push in WWE, Jeff left the company when his contract expired in August of 2009. On September 11, 2009, Jeff was arrested on charges of trafficking in controlled prescriptions pills and possession of anabolic steroids. While his case is still ongoing, Jeff’s arrest didn’t deter TNA from bringing him into the company in January 2010. Nor did it stop TNA from making Jeff World Champion while he still had the cloud of his arrest hanging over him. At the Victory Road Pay Per View on March 13, 2011, Jeff wrestled Sting for the TNA Title. 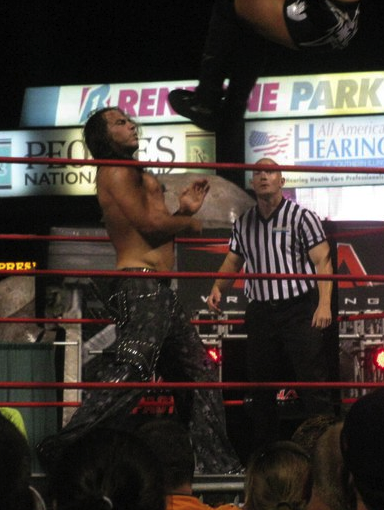 Shortly before the match took place, TNA management made a decision Jeff was in no condition to wrestle and had Sting legitimately pin Jeff in 90 seconds. After the show TNA announced they had sent Jeff home from the Impact tapings for the week. That was five months ago. Jeff has not been seen or mentioned since then. 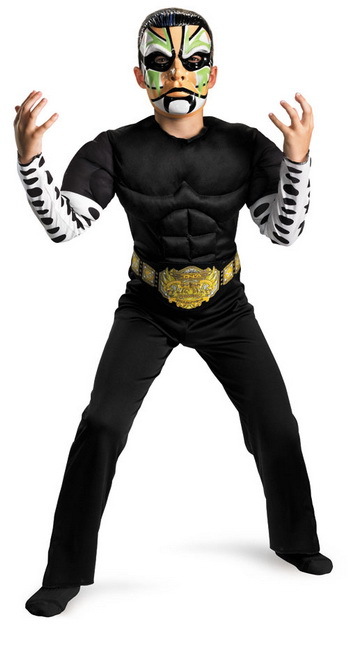 In the past couple of weeks, TNA has released some new products including a Jeff Hardy kid’s Halloween costume. Apparently TNA feels money can still be made off of Jeff Hardy. A pending criminal trial and showing up in no condition to perform is less important than milking a few extra bucks from kids whose parents don’t care who their kids look up to as role models. What’s the lesson to be learned here? Matt Hardy posts strange comments online, gets a DUI and is fired. Jeff Hardy runs a personal pharmacy, shows up to a major show unfit to compete and gets a nice vacation and new merchandise. This is a time when I’d really like to be able to conduct an interview with everyone running TNA. Don’t get me wrong; I don’t feel Matt Hardy got the short end of the stick. As I was discussing with Kevin over the weekend, Matt is the Kevin Smith of wrestling. A guy who built up a loyal and vocal fan base but through his constant whining and “everyone’s to blame except me” attitude has slowly driven the fan base away. Will Matt or Jeff ever reclaim their past glory and live up to their expectations? Time will tell. For now I think they would both best be served with stepping away from the wrestling industry, getting themselves cleaned up from all personal demons and reevaluating what they want out of life. Any thoughts on the Hardy Boys? Let us know on FacebookTwitter. Agree a thousand percent. I hope this article gets read by everyone involved. Heck, mail it to them the old fashioned way if none of them respond.